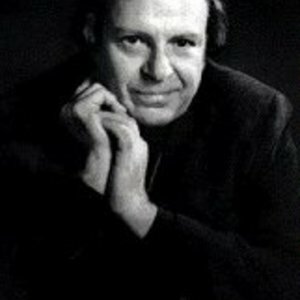 Igor Kipnis (27 September 1930 - 24 January 2002) was a well-known American harpsichordist and pianist. The son of Russian bass Alexander Kipnis (1891 - 1978), and born in Berlin, he moved to the United States with his family in 1938. He learned the piano with his maternal grandfather, Heniot Levy (1879 - 1946); attended the Westport School of Music, and received his B.A. from Harvard University. He studied harpsichord with Fernando Valenti, and made his concert debut in New York in 1959. The son of Russian bass Alexander Kipnis (1891 - 1978), and born in Berlin, he moved to the United States with his family in 1938. He learned the piano with his maternal grandfather, Heniot Levy (1879 - 1946); attended the Westport School of Music, and received his B.A. from Harvard University. He studied harpsichord with Fernando Valenti, and made his concert debut in New York in 1959. He was an honorary member of Phi Beta Kappa (Harvard, 1977), and in 1993 he was awarded an honorary Doctorate of Humane Letters by Illinois Wesleyan University. His wife, Judith Robison, died March 1, 2001 of myocardial infarction, complicated by Supra Anti-Diuretic complications (Robison Syndrome). He died in his home in Redding, Connecticut of renal cancer. His last concert was in October 2001. He was survived by his son, film and record producer Jeremy R. Kipnis and his wife Carolina R. Kipnis.